The group that has been labeled the “apostolic succession” Lutherans contains such names as Carl Braaten, Philip Hefner, David Yeago, Bruce Marshall and Norman Nagel[i]. Instead of placing all of their emphasis upon the true apostolic doctrine of the church as the assurance of apostolicity, these Lutherans instead prefer to move towards a regaining of the early church practice (as alluded to by Sasse) of the dual marks of true apostolicity: both visible unity and doctrinal unity. As a bridging a gap with the first understanding of apostolicity as presented in this paper, I choose to begin with a defense of the necessity of doctrinal unity and the purity of the gospel for apostolicity, as witenessed to by most members of this latter group. I then move to the issue of visible unity and the element that can most appropriately be representative of this form of apostolicity. The second consideration that he alludes to is the valid acts of the church: such things as Baptism, Lord’s Supper, Proclamation, Absolution, Ordination, etc (‘marks’ of the Church). These ‘marks’ represent the work of the church and only in them can a church see its apostolicity in action. The church manifests its apostolicity in the ‘works’ of the apostles. At their base and foundation lies the apostolic witness. That witness is not static, it is a living witness. The important aspect is not only the reality itself, but also the visible manifestation of this living reality in the world as a witness to Christ and to establish the visible unity of his church. 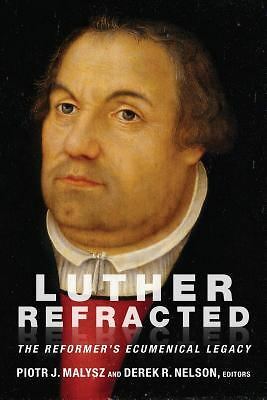 Doctrine was the one thing that was irreplaceable for Luther. His particular circumstances made the loss of the episcopacy a necessity. This does not mean that this is the way that Luther had envisioned the church operating for all time. The “apostolic succession” Lutherans want to pose the question: Is the emergency not over? Can we not bring back the valuable practice of episcopal ordination and the visible element that it lends to the church’s apostolicity? Before there is the conclusion that too much is being put into a visible means of apostolicity Braaten reminds us that episcopal succession in no way guarantees the apostolic faith. But this does not mean that it cannot serve as a guarantee of it if used properly. On this basis he disagrees with theologians like Edmund Schlink and George Lindbeck who allow episcopal succession to operate as a sign of the apostolicity of the church. [vi] Braaten argues that episcopal succession is able to operate not a merely as a ‘hollow’ sign but as an assurance, along with doctrine, of true apostolicity. To experience apostolic success, it may initially appear that a church’s emphasis must fall upon the evangelical truth over ecclesiastical unity, even as important as that unity may seem. Braaten would rather that the unity of the church derives from the unity of the truth that it confesses. A visible unity in the church’s structure is in no way a sufficient compensation for a lack of unity in its true gospel proclamation. [vii] In other words, there are no delusions of grandeur by the “apostolic succession” Lutherans: what they are not saying is that if the Lutheran Church can regain a visible element of episcopal ordination then everything—doctrine and practice—will straighten itself out. No, both approahces recognize the importance of the purity of the gospel and its proclamation. Truer Lutheran statements could not be better expressed than the following comments made by Carl Braaten. He claims that if the primary accent falls upon the gospel, and if there is the correct understanding that the church herself is a servant of that gospel, then it is natural and necessary to conclude that the church is present where the true gospel is proclaimed in both word and deed. Importantly, this line of thought in no way can be reversed to make the claim that the gospel is truly and necessarily present when a church bears certain institutional marks or perpetuates itself through certain externals. [viii] Here there is no evidence of an attempt to make the gospel or its doctrines subservient or secondary to outward signs of unity—be that ordination or consecration with the laying on of hands. Bruce D. Marshall, in writing on the Lutheran-Episcopal Concordant, makes two important revelations for our discussion. First of all, as a representation of the Lutheran approach to apostolicity, the Concordant distinguishes between the apostolicity of the church and the ministry of bishops. This distinction is made because apostolicity is a trait of the church at large, as a whole, not just to an office within the church. This apostolicity is found in the church’s continuity with both Jesus Christ and his apostles as it moves throughout history. Marshall proceeds to point out that “movement through history” or time is a form of succession, hence the concept of apostolicity includes the notion of succession. “Apostolic succession” is simply apostolicity itself with the stress upon continuity throughout time. Marshall recognizes that the ministry of bishops cannot be equated with apostolicity but must be understood in its wider context, in service to the apostolicity of the church as a whole. [ix] These comments made by Marshall are a wonderful echo of Braaten’s position. Therein lies the realization that bishops do not ensure apostolicity, but their position serves the church as an office to unify the church in her apostolicity. [i] Nagel’s inclusion in this list may come as initially surprising due to his denominational affiliation (LCMS), but his defense of “ordination only with the laying on of hands and prayers” will prove important to this side of the argument for apostolicity as it stands in direct opposition to Pieper. [ii] Philip J. Hefner, “The Church,” Christian Dogmatics, Volume 2, ed. Carl E. Braaten and Robert W. Jenson, (Philadelphia, PA: Fortress Press, 1984), p. 205. [iv] Carl E. Braaten, Mother Church: Ecclesiology and Ecumenism, (Minneapolis, MN: Fortress Press, 1998), p. 36. [v] Carl E. Braaten, “The New Lutheran Church and Its Ministry,” The New Church Debate, ed. Carl E. Braaten, (Philadelphia, PA: Fortress Press, 1983), p. 7. [vii] Braaten, Mother, p. 32. [ix] Bruce D. Marshall, “The Lutheran-Episcopal Concordant: What Does It Say, and Why Does It Matter?”, Pro Ecclesia 3, no. 4 (Fall 1994): p. 422.